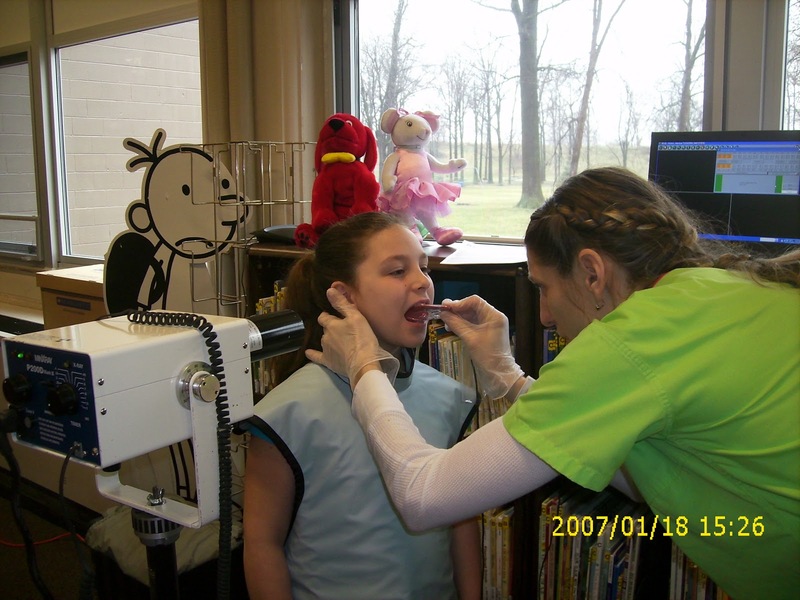 Pupils at Taylor Parks Elementary School are smiling these days, thanks to the mobile dentists from the "Smile Program," who recently visited the building. 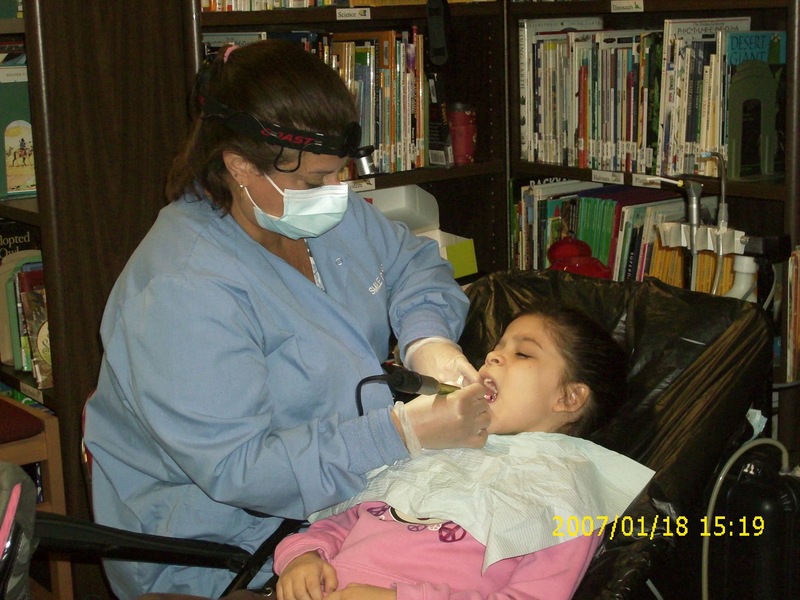 The mobile dentists are innovative, on-site, school-based dental outreach providers, with a mission to bring state of the art care to pupils in need. And they do it in the most comfortable and effective way possible. 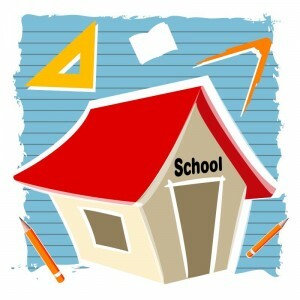 The provide service to preschool pupils through high school-aged students across the country, at no cost to the student's family or the school district. Taylor Virtual Learning Academy (TVLA) is the newest part of the Taylor School District. TVLA offers a blended academic program, a combination of virtual learning and lab time, which accommodates students’ unique and individual needs. TVLA students have the opportunity to earn a high school diploma and attend school year round. The Taylor Virtual Learning Academy family would like to congratulate its first ever, graduating class of 2013. Eighteen TVLA students are on track to graduate this June, including Amanda Love (above, top) and Jeffery DeWitt. From the TVLA staff: Great job ladies and gentleman! Taylor Virtual Learning Academy is hosting an open house from 5 to 7 p.m. on Thursday, April 25. Parents and students are encouraged to attend. Come and meet our TVLA family and learn more about TVLA and your student’s progress! Refreshments will be provided. TVLA Program Manager Pat Scott (above) is pictured at the Wayne State University School of Social Work Alumni Association, Alumni/Citizen of the Year Awards Luncheon. Pat Scott and School Social Worker Michelle Calvillo networked on behalf of TVLA and gained an enriched perspective from the stories of the awardees, who are devoted advocates in supporting homeless prevention and services. A huge thank you from the TVLA to Mr. Craig Case, Welding & Fabrication Instructor at the Taylor Career Center, for making this hand crafted TVLA sign (above). Mr. Case acts as a mentor to many students, who are working hard at earning essential career skills, while they are enjoying a trade they love! 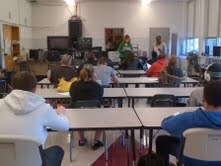 Taylor Virtual Learning Academy and TITAN students participated in an interviewing skills and resume writing workshop (above), facilitated by Michigan Works. Kennedy High School JROTC would like to congratulate Alyssa Domonkos on her recent Congressional appointment to the U.S. Army Military Academy at West Point, N.Y. This is the first time in the history of Kennedy High School that a student has received an appointment to West Point. 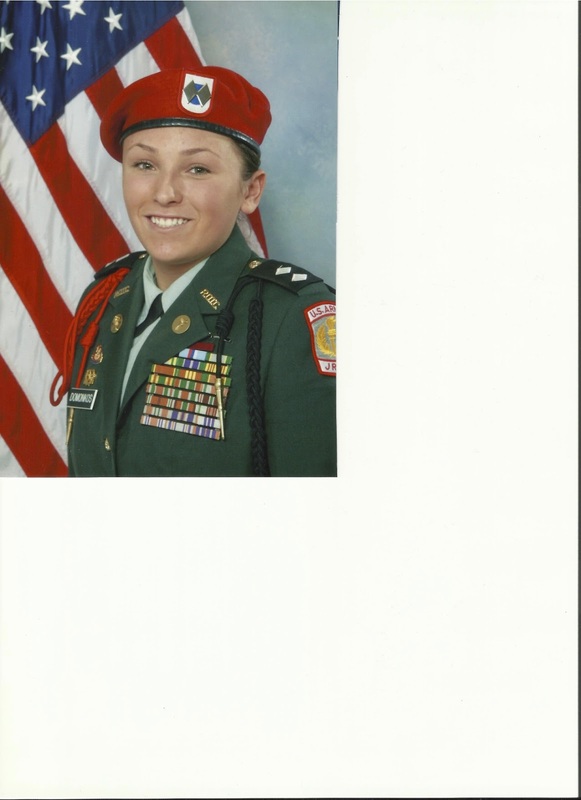 Domonkos also received a Senior ROTC Army scholarship to Western Michigan University, which she declined after receiving notification of the West Point appointment. She is a stellar student and JROTC cadet at Kennedy High School. She is an avid athlete and an active participant on the high school and city softball teams. Domonkos was also a member of the girls basketball team, where she is a team captain. She is also a member of the Pom team, figure skating team and runs on the high school cross country team. Her other extra-curricular school activities include Key Club, Link Crew, Quiz Bowl, Youth In Government and is she currently the class secretary for Student Council. Her involvement in JROTC is impeccable and she currently holds the position of commandant, the highest attainable position in the JROTC program. Her endless efforts, selfless service and relentless positive attitude demonstrate her potential to succeed in any leadership position. She has participated in several annual canned food drives, the nationally renowned Toys for Tots campaign and spearheaded the annual Stockings for Soldiers campaign. This campaign is a service learning project designed to send certain items to deployed soldiers in Afghanistan and Iraq during the Christmas season. She is major contributor in all extra-curricular activities and we would recommend her to facilitate any event that recognizes and stresses the importance of community or school service. She is an active member and commander of the Kennedy High School JROTC armed and unarmed drill teams, which are school varsity recognized activities. The drill team is successful, winning championships in many area competitions. She has also won many national awards and commendations as a cadet in the JROTC Program. We are truly proud of Alyssa Domonkos and look forward to her future successes. Congratulations are also in order for Tristin Simons. Simons received a three-year Senior Army ROTC scholarship to the University of Michigan and the University of Hawaii. Simons accepted the University of Michigan scholarship. Simons is very pro-active in school and the surrounding community. He is an avid athlete and an active participant on the high school and JROTC athletic teams. A member of the varsity football and golf teams, the JROTC softball team and the JROTC Raider Challenge Team where he serves as the team commander. He is also an active member of the JROTC Sabre team drill team. His other extra-curricular school activities include Quiz Bowl, JROTC Academic Challenge Team and Student Council. He currently holds the position of Battalion Training Officer, the third highest position in the cadet corps. Like Domonkos, he is very involved many extra-curricular activities. Our program would also like to congratulate Lance Aleshire and Cierra Rentas, who have enlisted in U.S. Army, and Paris Bowens, who has enlisted in the U.S. Army Reserve. Upon graduation, Aleshire will attend the U.S. Army Infantry School. He aspires to become a Special Forces soldier after his completion of Infantry School and is also very involved with all facets of the JROTC program. He is currently the battalion commander and the commander of the Platoon Armed Drill Team. He has been a tremendous asset to the JROTC program during his high school tenure. Rentas will attend the U.S. Army Chemical School and train to be a nuclear, biological, and chemical specialist. Rentas has also been in the JROTC program for four years. Bowens will attend training to become a dental hygienist. He has also been a major contributor to the JROTC program participating in many community service events and drill teams during his time at Kennedy High School. The top band students from across Downriver -- including Taylor -- will gather this weekend. 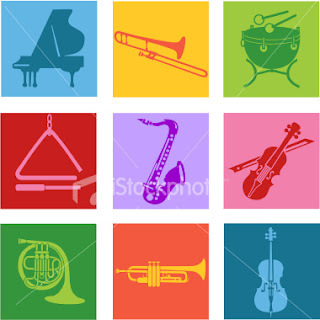 The best members of bands from middle and high schools across the region will play a concert at the Allen Park Center for Performing Arts, which is attached to the high school. This is the third year the Downriver Music Guild has sponsored such an event. The concert begins at 7 p.m. Saturday and admission is free. Several local schools will provide their directors to conduct the band and its nearly 300 members. Jody Defevre (Lincoln Park), Carol Scott (Taylor West) and Brad Faryniarz (Brownstown and Patrick Henry) will direct the middle school portion while Nate Bearinger (Grosse Ile), Andrea Bonner (Taylor Kennedy) and David Brockington (Carlson) will each work with a portion of the high school ensemble. Each conductor will work with a portion of the band in a morning practice session, and then return to conduct that section of the evening’s performance. Guest conductor Kenneth Thompson, an associate professor at Bowling Green (Ohio) State University will also be on hand to work with both the middle- and high school band and return to conduct each in a selection during the concert. Both bands will perform four selections for the crowd. Too see this on the News-Herald's online editions, click on http://www.thenewsherald.com/articles/2013/04/11/news/doc5165bf725cf25366519819.txt. West Middle School proud of former students! Staff at West Middle School send along a hardy "congratulations" to two former students who are now excelling at Truman High School. Adam Greene and Patrick Murray are members of the outstanding, conference-winning Truman Quiz Bowl Team. West staff say that they have been tracking the former students since they left middle school, and couldn't be more proud of their accomplishments. Greene and Murray are ranked one-two in their senior class and one-two on the quiz bowl unit. And your former middle school mentors could not be more proud of you! 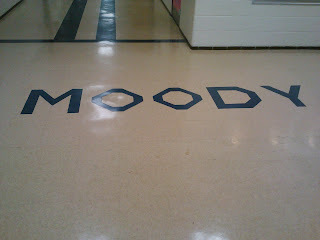 Shiny new tile work, including the school's name, greets visitors when they walk into Blair Moody Elementary School these days. The building recently had a pipe burst and a large section of the floor was removed when workers did the repairs. Instead of simply replacing the tile, day maintenance worker Doris Plemmons put a "labor of love" into the effort, according to staff at the school. Now, visitors are greeted with a floor that proudly says, "Moody." 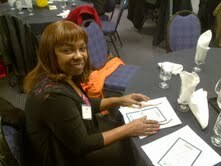 Hats off to Doris Plemmons for her outstanding work! This month the Truman High School Quiz Bowl team will find out if it still has all of the answers. Over the next two weekends the team will be heading to tournaments at Michigan State University in East Lansing, with the state championship set for April 19-20. The Downriver champion Cougars hope to build on a huge year, while sending retiring Coach Mike McClain out with a bang. Quiz Bowl is a game of questions on topics such as history, science and literature, where teams compete with a buzzer. A moderator poses the questions and teams score points by the questions they answer correctly. In the conference in which Truman competes, each school has four members per team. Truman, champion of the Southern Wayne County Quiz Bowl Tournament and undefeated in its league, will compete in Lansing on April 19-20 for the state title. The Cougars are led by McClain, 62, who is essentially the Obi-Wan Kenobi of the Quiz Bowl for this area. The retired math teacher started the programs at Truman and Kennedy high schools and is a moderator for the Southern Wayne Conference. 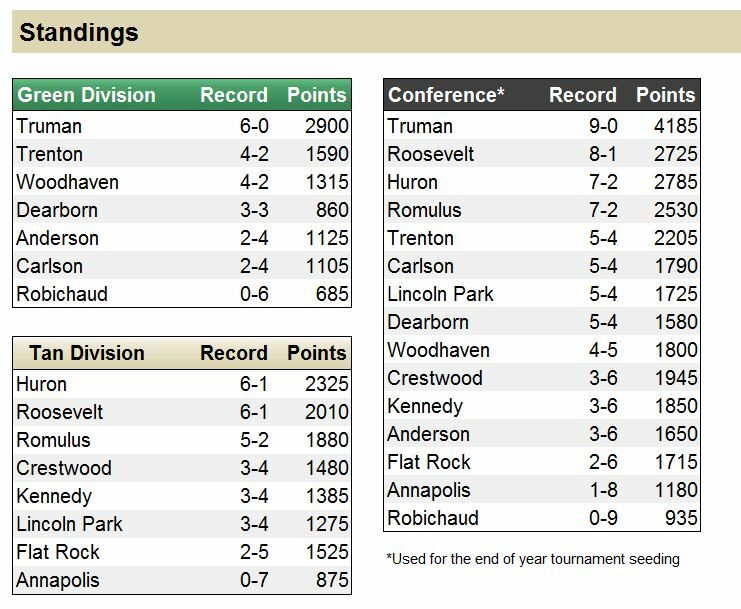 This season, Truman went a perfect 9-0 in the conference. 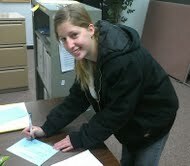 Then, at the tournament hosted by Wayne County Community College on Feb. 13-14 the team won all three of its matches. 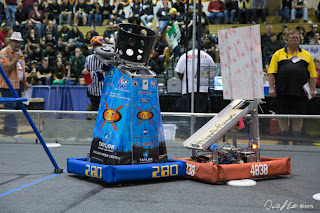 In the championship, it defeated Roosevelt High school by a score of 365-245. Not only was Truman undefeated, but it also scored a total of 4,185 points in the conference. 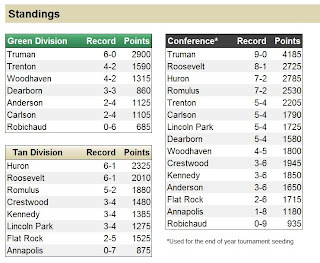 The next highest point total was Huron High School’s 2,785 in the 15-team conference. There isn’t really a secret to the Cougars’ success, however, McClain said. He said he likes his team members to be well-rounded and encourages them to participate in everything else from the drama club to team sports. “I get to work with kids that are really good and that are invested in school,” McClain said. “I want them to be at practice, but I don’t blame them for being gone (if they have to attend something else). 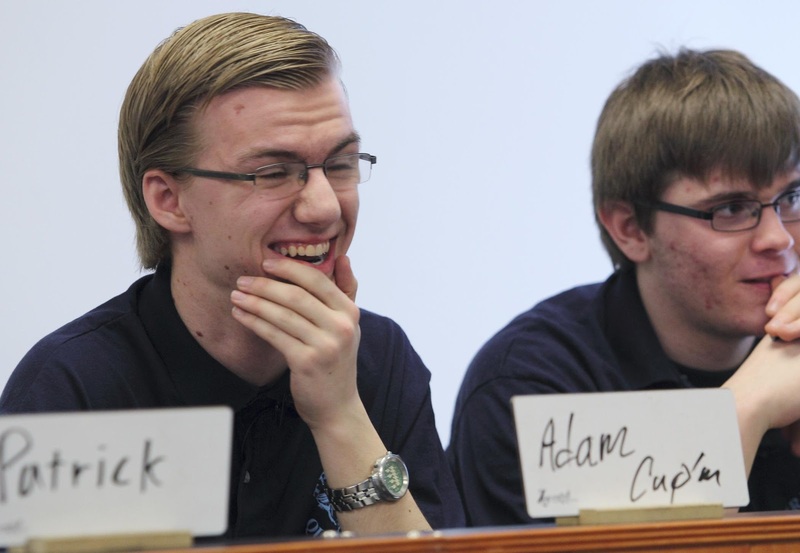 It also doesn’t hurt that the Truman Quiz Bowl has two of its’ top players in recent memory. The club boasts the duo of Adam Greene and Patrick Murray among its top four players, who help spearhead the mental firepower. The two are ranked first and second in their senior class, with Murray maintaining a 4.27 GPA and Greene’s at 4.269. McClain said Greene is No. 1 all-time and Murray is No. 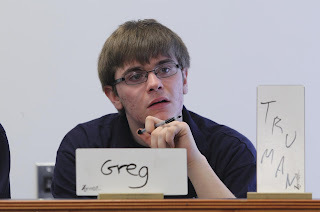 2 in Truman’s Quiz Bowl history, with Greene, recently offered a scholarship to Michigan State University’s Honors College, consistently a top-10 finisher in state competitions. “This season, Adam was our MVP,” McClain said. “He essentially blew a lot of other teams right out of the water. Patrick is great, too. On many other teams he would be their top player.”_Greene said McClain keeps the team sharp, but everyone has fun. “We love what we’re doing and we have a passion for the material,” said Greene, who is ranked fourth in the state at 71.25 points per game, according to MSU March Madness 2013. Murray said one key is keeping a cool head under pressure. McClain, a retired teacher who spent 38 years in the district, said he is retiring to spend time with his wife and travel, but will remain as a moderator for the conference. What made the team’s conference championship even more special was that a week before the Quiz Bowl conference tournament in February, he was hospitalized for a week with a blood clot in his lung. His devotion to the craft nearly killed him. McClain said that despite feeling under the weather he put off going to the doctor to see what was wrong, in order to work on Quiz Bowl questions in his spare time, exacerbating his condition. McClain missed part of the conference championships, but returned after resting and talking it over with his heart and lung doctor. There was a “win one for the Gipper” mentality in the back of the team members’ minds during the conference tournament, Greene said. Murray said everyone was concerned for McClain and is happy to have him back. McClain said that when he was in school there was no such thing as Quiz Bowl, but he gets joy out of moderating, coaching and through his students’ success. To see the story on the newspaper Web site, just click on thenewsherald.com. The Taylor School District is currently accepting applications for out-of-district school of choice students for grades K-12 and will continue to register student for the 2013-14 school year through Sept. 6, 23013. Taylor offers "New beginnings, New attitudes, New standards and New programs." If you want your child to "reach for the stars," the Taylor School District is the right place for him or her. For more information, contact the Pupil Accounting Office, 9551 Westlake Road, Taylor, MI, 48180. It is open 7 a.m.-2:45 p.m. Mondays through Fridays. You can also call (313) 295-5742 or click on www.taylorschools.net. Coaches loved working with team at Sixth Grade Academy! Athletic activity can be a rewarding experience. Even for the adults doing the coaching. I would like to thank you for a great opportunity to be part of such an awesome program. (We were) given the opportunity to coach the Red Colts at the Sixth Grade Academy this year, and what a wonderful experience it was. I am so thankful for the chance to have met such gifted, talented and respectful young men, not only the ones that were on my team but the ones that were on the other teams as well. The dedication and commitment of the staff at the Sixth Grade Academy was shown through the actions that these young men displayed all season and I as one of the parents would like to say thank you, thank you, thank you for all of your hard work. Thank you for a great season, Red Colts! Randall Elementary School had a reading contest for March is Reading Month. Pupils could only account for any minutes read outside of school. Total minutes read for the entire school totaled 195,073 minutes with 461 students participating. Mrs. Abbott's class read the most with 19,720 minutes read between 14 children. The top two pupils who read the most minutes in each class will receive a Texas Roadhouse lunch at the school. Of course, the most important thing about March is Reading month is we were all reading, including the staff. The smarter you grow, the stronger your voice. When speaking your mind or making a choice. It's a busy time of year for Randall Elementary School. The Randall Players, the after school drama club at Randall, is entering its final week. Dress rehearsal is from 3:45-7:30, Friday, April 12 and the performances are Monday through Wednesday, April 15-17. 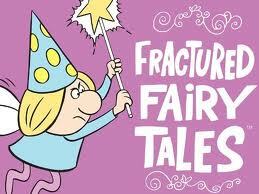 The kids have been working really hard, according to Randall staff members, and this year's play is "Fairly Fractured Fairy Tales." Students edited and revised this play and wrote the lyrics for all the songs this year. Plan on more information on the play in future Talking Taylor Schools blogs. 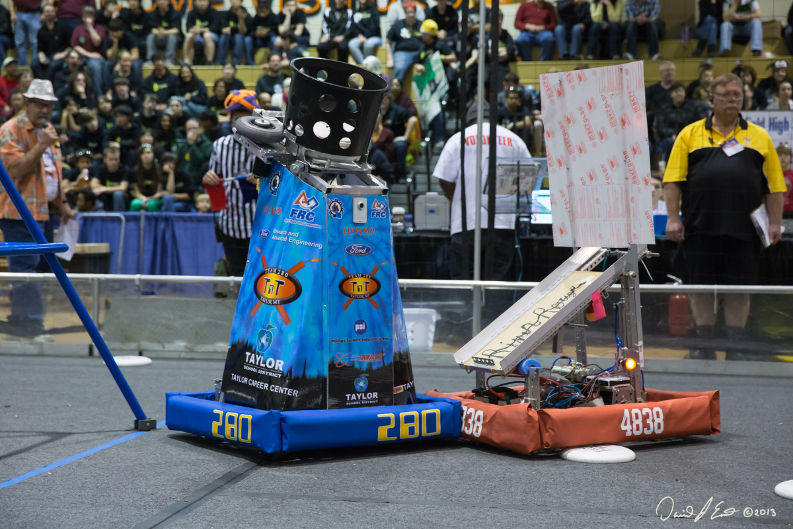 The "TnT" 280 robotics team has qualified for the Michigan State Championship and it would be wonderful to see all of you there to help cheer on the team. The team has worked extremely hard, according to staff members, and have earned their spot at the competition that begins Wednesday, April 10, at the Eastern Michigan Convocation Center in Ypsilanti. FLL /Junior FLL Demo/FTC 9 a.m. - 12:30 p.m. Elimination matches begin 1:30 p.m.
From Airport: Take I-94 west to Huron Street (Exit 183); head North on Huron Street, which turns into Huron River Drive. Turn left on Hewitt (stop light). The Convocation Center is located on left side of Hewitt. From U.S. 23: Take Washtenaw Avenue east to Ypsilanti. Drive approximately 3 miles and turn left on Hewitt Road. Parking lot is across from Rynearson Stadium. From I-94: Take Huron Street Exit (EMU Exit), to Cross Street and turn left. Travel on Cross for about 2 miles. Turn right on Hewitt Road. Parking lot is across from Rynearson Stadium. From Michigan Avenue: Go north on Huron Street. Go left on Cross Street for approximately 2 miles. Turn right on Hewitt Road. Parking lot is across from Rynearson Stadium. From Ford Road: Go south on on Prospect Road to Cross Street. Go about 3 miles on Cross and turn right on Hewitt Road. Parking lot is across from Rynearson Stadium. On Sunday, March 10, members of the West Middle School Chorus performed the song "20 Beautiful Children," accompanied by the Southern Great Lakes Symphony and its composer and arranger, West Chorus teacher Dave Martin. The song was written for the victims and heroes of the Sandy Hook Elementary School tragedy that occurred in Newtown, Conn. It imagines questions asked by children about the events of December 14, 2012. The song concludes, "Can't we just take away the bullets? Can't we just stop making the guns? For those 20 beautiful children, if not for those 20 beautiful children, then who?" 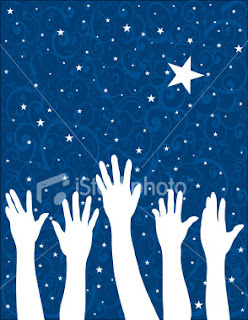 Donate to select Newtown charities and get a free download MP3 of "20 Beautiful Children" by visiting shinyheadmusic.com. Randall Elementary School held the second round of its kindergarten roundup during the final week of March. Thirty-one new families participated in the activity. The preschoolers had the opportunity to join the current kindergarteners to discover and experience a normal day in kindergarten at Randall. Staff noted that Randall's current kindergarteners did an amazing job of becoming mentors to the soon-to-be elementary school pupils. They assisted in making a bunny craft and then the preschoolers were able to visit the book exchange in the library. The staff at Randall is very excited to welcome these new pupils next fall and were extremely proud of the way their own kindergarteners conducted themselves during the roundup.